The holiday season is a time for giving – to your friends, family members, and your super and hairdresser, too. But holiday tipping time can be stressful in New York City. Of course, we want to recognize the service professionals who make our lives easier throughout the year, but some of us can't afford to be overly generous. In Manhattan, it's traditional to give a holiday tip to service providers (including apartment building staff, childcare providers, cleaners, and other personal service vendors) during December or early January. It's a sign of appreciation for good service, not an obligation, but tips are counted on by many NYC service providers. If you don't tip, it could be seen as a sign of dissatisfaction or just plain stinginess. If you're on a tight budget, focus on those service providers who go above and beyond the call of duty to make your life easier. If you truly can't afford to tip someone who gave you good service throughout the year, you can give a small personal gift like homemade cookies and a heartfelt note. In general, you should tip cash and do so as early in the season as you can (service professionals have gifts to buy, too). But exactly who should you tip? What's the minimum that won't look cheap? How much is too much? fThe answers to these and more NYC holiday tipping questions are below. 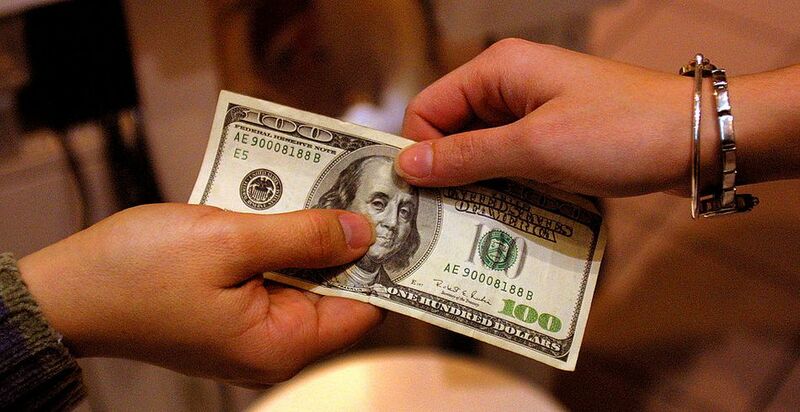 In New York City, you should plan on tipping your super $100 to $200 for the holidays. If your super is particularly attentive, a little extra holiday green can keep it that way. If you tip your super for helping you out throughout the year, you can give a little bit less during the holidays. The average tip for a New York City doorman (or, doorperson) is about $50 to $100. That's for each doorman. Give a bit more to a doorman who provides exceptional service and has worked for your building for a while. If you have multiple doormen and a limited budget, give what you can, giving more to those who have helped you most this year. Experts suggest that your stylist's holiday tip should be about the cost of one service if you're a regular customer and your stylist does good work. If you rely on a regular babysitter, tip him or her the amount of a typical job for the holidays. If you employ a full-time nanny, the New York rule is at least one week's pay, plus some paid holiday vacation days. If your cleaning person tidies up for you at least once a week, give a holiday tip in the amount of one week's pay. Give a little more if your cleaning person is a real gem and/or does extra heavy lifting for you (running errands, holiday party duty, etc.). Tip the parking attendants in your building's garage or any regular parking garage $25 to $100 per employee for the holidays. Your tip should be in the higher range if you use your car a lot and/or park in an expensive garage. Your regular NYC dog-walker or pet-sitter should get the amount of one week's pay as a holiday tip. Your mail carrier works hard, but, technically, Postal Service employees are not supposed to accept tips or gifts. Some New Yorkers flout the rules and give a holiday card and a few dollars or a gift card, especially if they get a lot of packages throughout the year. If you have a regular manicurist, facialist, massage therapist, or other aesthetician, it's traditional to tip the cost of a typical service. If you can afford regular pampering, you can afford to tip for good service. Don't make the faux pas that I made and neglect to tip your personal trainer. I'd never had the budget for a regular personal trainer in the past (and I only splurged for a short time), so it didn't occur to me to give a holiday tip. However, if you've worked with a talented trainer (strength training, Pilates, yoga, whatever) for a good portion of the year, do tip the amount of one session. How Does Your Restaurant Capture Customer Feedback? Who Gets Paid Minimum Wage in a Restaurant?